One of my priorities when I started releasing music was getting it on Spotify and iTunes. I did a fair amount of research looking into the different options and concluded that DistroKid is the best option by far. 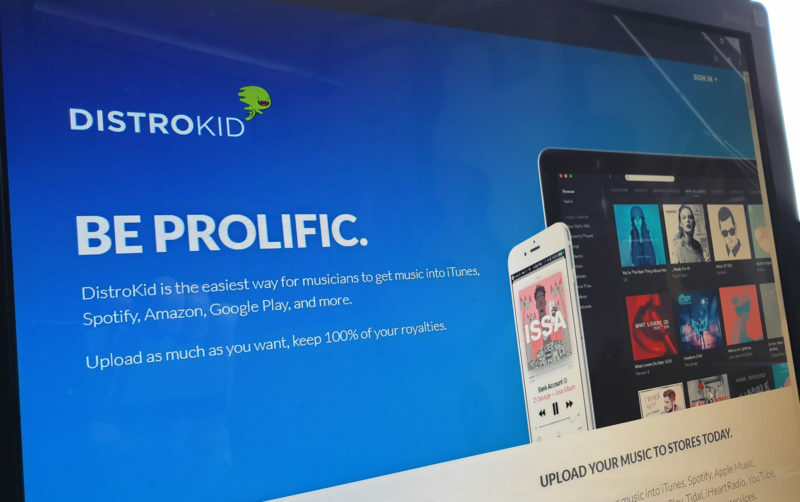 DistroKid costs $19.99/year for a single artist account, which allows you to publish as much music as you want to basically every platform, and you get all the royalties. That’s a pretty great deal when compared with the per album upfront fees and percentage of royalties charged by other companies. DistroKid also offers a number of genuinely useful unique features, like automatic access to Spotify for Artists and the ability to upload lyrics to iTunes. Most new features are applied to all accounts for free. You get paid in dollars and you need a PayPal account, but it’s straightforward to withdraw earnings. The stats and reports are very clear. Why should you consider anything else? You’re only ever going to put out one release. Sure, you’d miss out on all the great Distrokid-only features, but if you know for sure that you won’t be releasing music regularly then a one-time flat cost is better than an annual charge. You want on-demand CD printing. Some companies offer this. But I found it better overall to use DistroKid for digital and get CDs printed with a commercial print company. You want to include extra services like PRS registration. There are some extra services that DistroKid don’t offer, but nothing that swayed me. My priority was just getting the music on digital services and DistroKid does that better than anyone. I would be recommending DistroKid anyway, but if you sign up via this link, you get 7% off and I get $5.